Earlier this week Amazon revealed a bunch of new Alexa powered smart speakers. A day before that it was also revealed that Amazon's high-end smart speaker (smart screen?) Echo Show no longer supported one of its most important features. On Tuesday Google had blocked YouTube access from Echo Show (pictured). While Amazon claimed that Google had not issued any explanation why this had happened, Google told reporters that Amazon's experience was against the YouTube policies. Already at that point it seemed a little fishy. After all Amazon had a product that clearly took advantage of YouTube, although one could still see why it would be in Google's interest to let it show YouTube videos. Well, now new report from TechCrunch claims that Google is developing a Echo Show competitor that is called codename Manhattan. 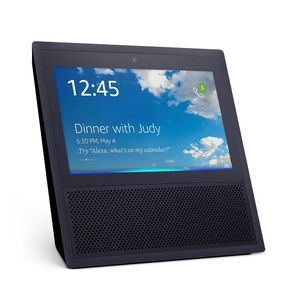 It's said to have a display in the same size range as Echo Show (7 inches) and feature of course YouTube viewing among other Google Home features. Perhaps Google is readying the release of the product in its event next week and that's why it pulled YouTube support from the only competitor that previously had one of the more important features enabled. What do you think? Google is expected to release new Pixel smartphones next Wednesday. qazwiz is qazwiz everywhere. If you see me say HI!